Yu Zhengsheng, top member of the Politburo Standing Committee, China’s de facto highest ruling body, visited Xinjiang Uygur Autonomous Region on September 29, 2015. His visit marks important developments in the People’s Republic of China. First of all, Beijing is concerned over the Uyghur Islamist threat. Chinese intelligence believes that about 3000 Uighur militants have been fighting at the side of ISIS and Al Nusra in Syria. Most of them get training in Afghanistan and then militants move to Syria or Iraq. 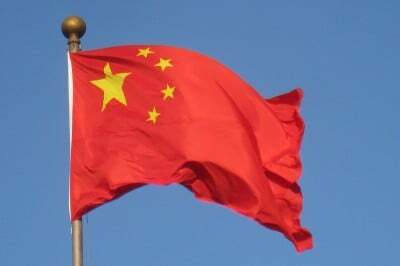 China notes that the Turkish National Intelligence Organization (MIT) provides support to them. On account of this, SouthFront: Analysis & Intelligence wants to remember that Saudi Arabia’s special services have a strong position in Afghanistan and links with Al Nusra. So, it’s hardly possible to believe that MIT is the only supporter of these developments. On the other hand, Yu Zhengsheng’s public activity is linked to his possibility to become the head of the Politburo Standing Committee. Experts believe that in this case Chinese security chiefs will get more influence to impact the China’s foreign policy. So, it will likely start to counter Islamist militant groups more actively. This will lead to the intensification of antagonisms with MIT which supports Uyghur separatists in China. Furthermore, the situation is already tense. On July 9, Thailand confirmed that it had deported more than 100 Uyghurs to China. This fact drew so-called “international attention from human rights groups and the Turkic-speaking community”, particularly in Turkey. Indeed, these Uyghurs were militants and used Bangkok as a transfer point on the way to Turkey. MIT was helping them in this. In China’s case, the Ankara’s common goal to unite the so-called “Turkic world” has turned into buidling own center of influence in Xinjiang Uygur Autonomous Region. Obviously, Beijing doesn’t like this. Thus, China will answer rigidly if Turkey, Saudi Arabia and Qatar will continue to try to destabilize Xinjiang Uygur Autonomous Region. In turn, Western powers can support destabilization of the region if they believe that China is ready to start a military opeartion in the Middle East. In any case, Beijing will prefer to act on a foreign soil, at least, in the Middle East and Central Asia. China has major economic interests in Tajikistan. It needs a stability of the regime there. Another important point is Uzbekistan. The Islamic Movement of Uzbekistan (IMU) militant group is a main threat there. It has a major human potential. A destabilization in Uzbeksitan will definitely fire the whole Central Asia. 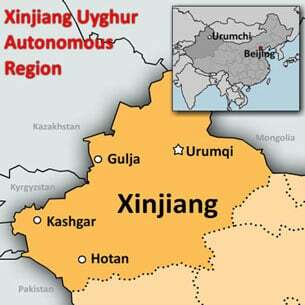 At the moment, activity of militants in Xinjiang Uygur Autonomous Region is obstructed by violant opposition of the Chinese authorities. The economic and military support of militants there is also more complicated than in Afghanistan or Tajikistan. But the Uygur and IMU militants are much more motivated than their counterparts in the Central Asia. Yugur separatists and IMU inspired by Taliban and ISIS successes could try to force events in China. The situation in Xinjiang Uygur Autonomous Region also depends on the reeal results of the Xi Jinping’s visit to London on October 19. The Anglo-Saxon’s stance over the topic will strongly influence the situation. Saudi Arabia, Turkey and Qatar will hardly achieve their goals without the Western support.